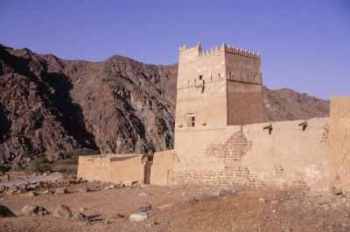 Bithnah, Fujairah - about the work financed by the Swiss-Liechtenchtein Foundation for Archaeological Research Abroad (FSLA) in Fujairah emirate. Fujairah - Petroglyphs - information on the petroglyphs discovered during the Archaeological Survey of Fujairah by the Prehistoric Archaeology Research Group from the Department of Anthropology, University of Geneva. In Search of Ancient Seafarers in the Arabian Gulf (Berkeley Archaeology, The Archaeological Research Facility Newsletter, Spring 1995 Volume 2, Number 2) - brief article about Chris Kostman's 1994-5 underwater archaeology survey of the coast of Fujairah and Sharjah. Postage stamps of archaeology from Fujairah - issued in 1996, featuring archaeological finds from Bithna, Bidya, Dibba and Qidfa (Source: UAE Philately). Writ in stone by Piers Grimley Evans - article about petroglyphs and the work of Dr Michele Ziolkowski (Source: Gulf News - Friday magazine). Al-Tikriti, W. Y. 1989. The excavations at Bidya, Fujairah: the 3rd and 2nd millennia BC culture. Archaeology in the United Arab Emirates 5: 101-114. Brass, L., R. Painter, et al. 1995. Fujairah Archaeological Survey: An Interim Report. Tribulus 5(1): 11-13. Corboud, P., R. Hapka, et al. 1988. Archaeological Survey of Fujairah 1 (1987): Preliminary Report of Second & Third Campaigns of the Archaeological Survey of Fujairah (UAE). Berne, Vaduz, Genève & Neuchâtel: 72. Corboud, P., R. Hapka, et al. 1988. Archaeological Survey of Fujairah, 1 (1987): Preliminary Report of the First Campaign of the Archaeological Survey of Fujairah (United Arab Emirates). Bern, Vaduz, Genève and Neuchâtel, Swiss-Liechtenstein Foundation for Archaeological Research Abroad. Corboud, P. 1990. Archaeological Survey of Fujairah. 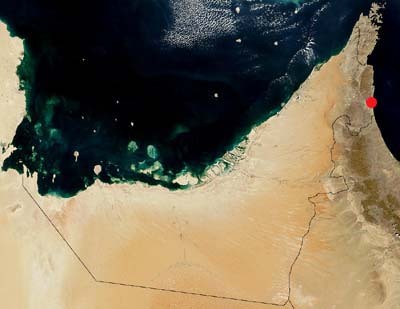 Arabian Gulf Gazetteer. E. C. L. During Caspers. Leiden. 1: 18-19. Corboud, P., A.-C. Castella, et al. 1990. Archaeological Survey of Fujairah 2 (1988-1989): Preliminary Report of Second & Third Campaigns of the Archaeological Survey of Fujairah (UAE). Berne, Vaduz, Genève & Neuchâtel: 118. Corboud, P. 1991. Survey archéologique du Fujairah (EAU): Compte rendu des troisème et quatrième campagnes de recherches (November - December 1989 & December - January 1990 - 1991). Genève. Departement d'Anthropologie et d'Ecologie de l'Universite de Geneve. Davis, K. M. 1999. Optical Microscopic Analysis of some Decorated Discs from Sharm, Fujairah. Arabian Archaeology and Epigraphy 10(2): 213-215. Garfi, S. 1995. Archaeological investigations in the Wadi Safad, Fujairah. Tribulus (Journal of the Emirates Natural History Group) 5.2: 23. [ to download this article in Acrobat .pdf format click here (122 Kb) ] . Hellyer, P. 1989. Recent Archaeological Finds at Bithna, Fujairah. Bulletin of the Emirates Natural History Group 37: 13-15. Hellyer, P. 1990. A Distant Past. Fujairah: An Arabian Jewel. Dubai: 40-49. Hellyer, P. 1993. Iron Age Fort in Fujairah. Tribulus 3(2): 17. Hellyer, P., D. Kennet, et al. 1997. Archaeology Review: Round-Up. Tribulus 7(1): 26-28. Jongbloed, M. 1994. Petroglyphs in Wadi Ashwani, Fujairah. Tribulus 4(2): 24. King, G. R. D. 1994. A Preliminary Archaeological Assessment of Wadi Safad, Fujairah, UAE. Report to H.H. Sheikh Hamad bin Mohammed al Sharqi. Maddern, J. 1997. Digging for Past Fortunes. Weekend (Khaleej Times Supplement): 6-8. Petrie, C. 1998. The Iron Age Fortification of Husn Awhala (Fujairah, UAE).Arabian Archaeology and Epigraphy 9(2): 246-260. Petrie, C. 2000. Late Pre-Islamic Ceramics from the Tomb at Sharm, Fujairah, UAE. Arabian Archaeology and Epigraphy 11(1): 80-86. Potts, D. T., L. Weeks, et al. 1996. 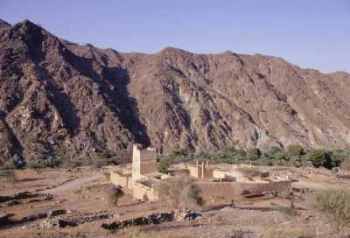 Husn Awahala: A late prehistoric settlement in southern Fujairah. Arabian Archaeology and Epigraphy 7: 214-239. Riley, M. and C. Petrie. 1999. An Analysis of the Architecture of the Tomb at Sharm, Fujairah, UAE. Arabian Archaeology and Epigraphy 10(2): 180-189. Susino, G. J. 1999. Material Composition Analysis of Artefact S-393 from Sharm, UAE. Arabian Archaeology and Epigraphy 10(2): 216-219. Whybrow, P. and A. Hill. 1990. An Initial Palaeontological Survey of the Emirate Of Fujairah. Natural HIstory Museum, London. Whybrow, P. J., D. John, et al. 1996. Preliminary reports on marine biological studies and on the reptile fauna from the Emirate of Abu Dhabi and part of the Emirate of Fujairah; Report on the continuing palaeontological study of the Cretaceous of the Hajar Mountains. Abu Dhabi, ADCO, The Natural History Museum: 1-53. Ziolkowski, M. C. 1998. A study of the petroglyphs from Wadi al-Hayl, Fujairah, United Arab Emirates. Arabian Archaeology and Epigraphy 9: 13-89. Ziolkowski, M. 1998. Islamic Sites on the UAE East Coast. Tribulus 8/2: 32-33. Ziolkowski, M. 1999. Al Bidyah Excavations, 1999. British School of Archaeology in Iraq Newsletter 4: 13-14. Ziolkowski, M. 1999. Excavations at Bidyah. Tribulus 9/2: 19-21. Ziolkowski, M. 2000. The Shasha: An interview with Abdullah Mohammad Sulaiman. Tribulus 10/1: 8-9. Ziolkowski, M. C. 2002. The Historical Archaeology of the Coast of Fujairah, United Arab Emirates: from the Eve of Islam to the Early Twentieth Century. Unpublished Phd thesis. Department of Near Eastern Archaeology, University of Sydney, Australia. Ziolkowski, M. C. and A. S. al-Sharqi. (in press). Bayt Sheikh Suhail bin Hamdan al-Sharqi: A preliminary study based on ethnographic and archaeological information. In: P. Hellyer and M.C. Ziolkowski (eds. ), Zayed Center for Heritage and History's Seminar on Current Paleontological & Archaeological Studies in the UAE. Al Ain, UAE. Ziolkowski, M.C. and S.A.M. Hasan. 2000. Three petroglyphs from the Emirate of Fujairah, U.A.E. Proceedings of the Seminar for Arabian Studies 30: 257-265.